For all of your office supplies, school supplies and new business supplies, consumers love shopping at a friendly neighborhood Staples or Office Depot. Preferred over other stores like Office Max and Wal-Mart because they offer competitive and bargain prices as well as a one stop shop for all things. One of these two stores is doing incredibly well for themselves. Staples has an amazing 95,500 employees as of 2009 where as Office Depot only had 42,000 employees as of 2009. The companies have stores across the U.S., corporate accounts and an online website for anyone who doesn't have time to go to the store itself. Staples was first established in 1986 with their headquarters in Framingham, Massachusetts. 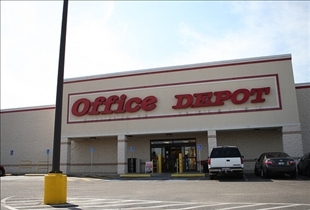 Surprisingly, Office Depot was also founded in 1986 and their head quarters is in Boca Raton, Florida. In 1991, Office Depot merged with Office Club and swept over the West Coast. 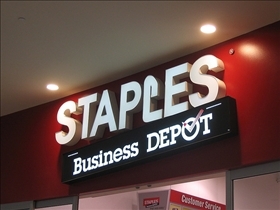 In 1990, Staples began expanding to the western states and in 1991 they helped fund Business Depot (Canada’s first office superstore). When the stores first opened they were stocked with office supplies from paper products and pens to furniture and even machines like faxes and printers. One thing that most people find completely annoying is commercials during their television programs. For these two companies only one of them goes a route with commercials that are bearable and profitable. Staples goes the route of different commercials as well as funny commercials. Staples plays a commercial once a week during "the Office," which gives most viewers a chuckle. Another is their “Easy Button” commercials or the "WOW THAT's CHEAP!" commercial. With Office Depot some get that annoying jingle stuck in their heads all day and the hand that just seems so misplaced. Many people don't quite understand the humor behind the Office Depot commercial. Thus, giving Staples the hand up on commercial advertisement. Office Depot suffered major financial losses in recent years. Customers are wondering if this could be the near end of the no. 2 office supply chain in the USA. Staples on the other hand, was able to recently open 41 more stores and also reached an agreement to acquire Corporate Express for $4.8 billion. Staples also has stolen its competitor’s customers by over 60%. By cutting school supplies a bit they are actually raking in a great deal of profit even through these hard economic times. Staples is currently in better standings then Office Depot by quite a few billion dollars. Although both are top leading stores for office supplies, Staples pulls away in the lead by cutting the prices on school supplies, making it more reasonable for customers. In 2008, Office Depot suffered major losses while Staples shelled $4.8 billion to acquire the company Corporate Express which is a Dutch office supply company and is by far the largest supply wholesaler in the world. As far as commercials go, Staples takes the edge with their short but witty commercials compares to Office Depots hand and jingle combination. Which office supplies provider is better?